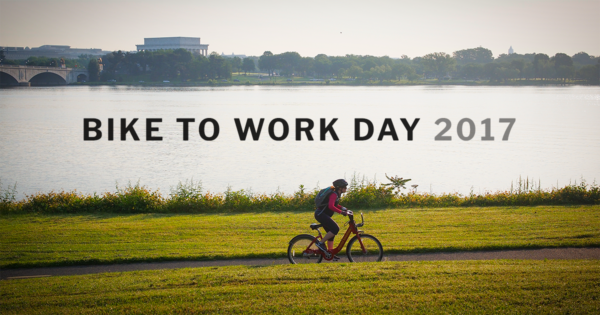 We’re super excited to be hosting stops for Bike to Work Day again this year. Registration is open, and you should totally sign up! 1. FREE t-shirts, bagels, coffee, and smiles. 2. It’s super fun to be a part of something big: 19,500+ people biking to work. 3. You could WIN A BRAND NEW BICYCLE! 1. It shows your support for bicycling. 2. You want to make bicycling better (and showing your support bolsters WABA’s advocacy efforts to make biking better). 3. It helps elected officials, city governments, and local transportation departments recognize biking is important and normal.